I am a Ph.D. musicologist and a licensed clinical social worker. I did research for most of the ’90’s at the University of Louisville School of Medicine and worked at Baptist Hospital East here in Louisville from ’97 to ‘2005. I’m now in private practice in Louisville. Indian Music Therapy Day is celebrated on each 13 May of the year so we can redefine National peace and health in a much simpler and melodious way. Almost every singer, musician and dancer- everyone related to the Indian Music- have the same opinion and message to offer on the occasion of Indian Music Therapy Day. Now Indian Music Therapy Day will spread over the entire globe. Indian Music Therapy Day will be recognized for the contribution of Indian Music Therapists to improve the quality of live for over Indian citizens. Indian Music Therapy Day supports the profession and practitioners of music therapy to promote access to quality professional music therapy services for the citizens of Indian. Why Indian Music Therapy Day should celebrate? •	Goal of Indian Music Therapy Day festival is to make propaganda of Indian Music Therapy in various manners. •	To Increase the Public Awareness and Government awareness. 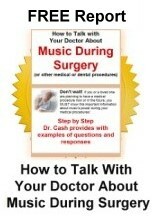 •	The Day will be utilized to make the Music Therapy promotion. •	This celebration provides the platform for the public attaining all the Music Therapist. How Indian Music Therapy Day should celebrate? In order to build peace and health on National level by the means of Music Therapy, this gala of festival should celebrate joyfully on National level. Arranging speech of leading Music Therapist, Musicologists, Research Scholars and interpreters in order to gather the knowledge based on the essence of Music Therapy and recent scenario of Indian Music Therapy. Arranging Seminars and Workshops of Music therapy and Artists. Organizing music competitions and quizzes arranging different exhibitions of Music Therapy. Photographs typically based on musical themes. Giving invitation to the delegations of Music Therapists, Musicians and Research scholars from all over India in order to ask for their participation during Indian Music Therapy Day. Thanking you in anticipation of favourable action. Music Therapy Day on 13 May. We need help to celebrate Indian Music Therapy Day on 13May. Your financial contribution will support for advancement and promotion to Indian Music Therapy & Research work. Kalawardhan Academy is a non-profit, non-ethnic, non-religious, and non-partisan organization in all its dealings with the Performing Arts and devoted Indian classical Music and Music Therapy Students. Thank You for spending time reading this Article and Appeal, and also Wishes You God Blessings and Good Wishes.